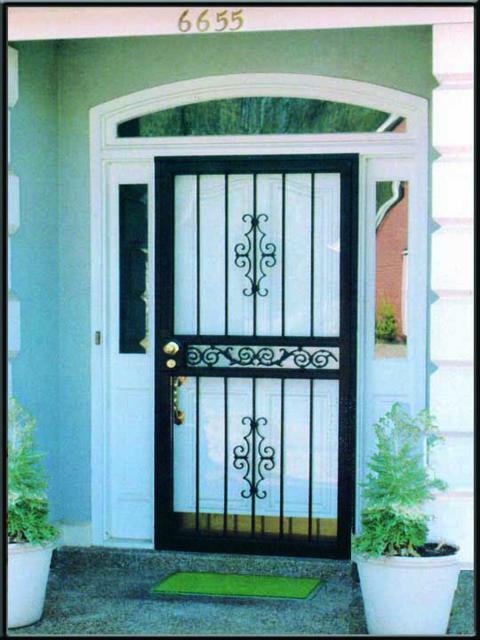 Traditional Security Storm Doors to protect you and enhance your homes entrance doors. 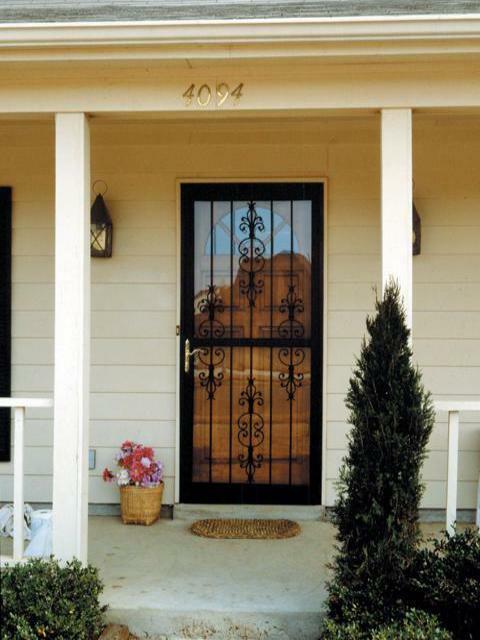 All doors are made in the US using 16 gauge steel that is fully welded and powder coated in one of 10 stylish colors. Each door is made to fit your door opening and is available in single, double, round, arch and cathedral top doors. 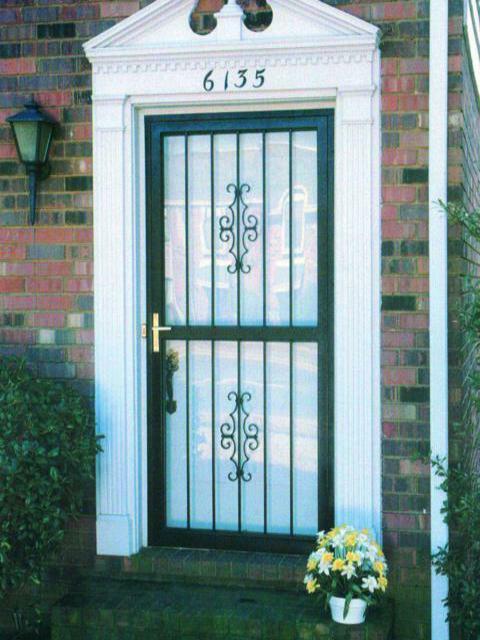 Sidelights and Transoms available to match your door style. 103 Sentry is available in any size in 10 stylish colors in any size in single, double, round, arch and cathedral top doors. Choose from 10 stylish colors with a standard top screen. Matching sidelights and transoms are available. Black and White 36" and 32" x 80" are in stock and available to ship right away. 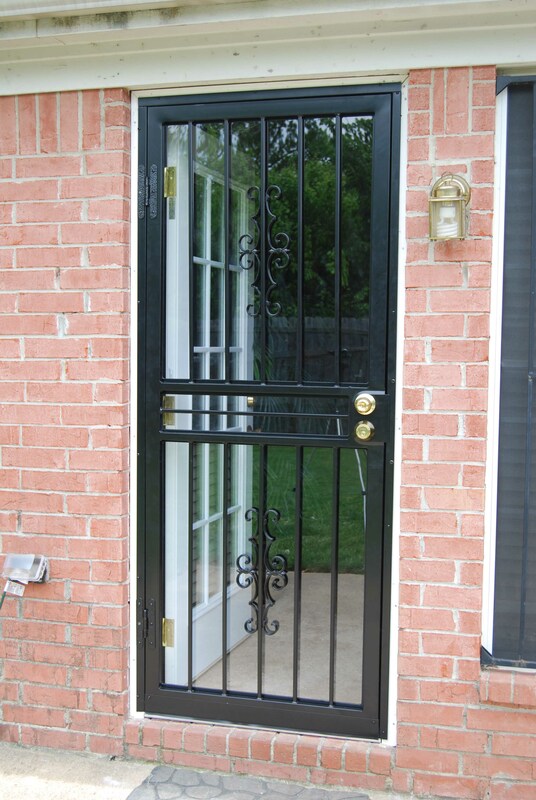 Color and odd size special order doors take 28 days. 131 Villa- is available in any size in 10 stylish colors in any size in single, double, round, arch and cathedral top doors. Choose from 10 stylish colors with a standard top screen. Matching sidelights and transoms are available. Black and White 36" and 32" x 80" are in stock and available to ship right away. Color and odd size special order doors take 21 days.